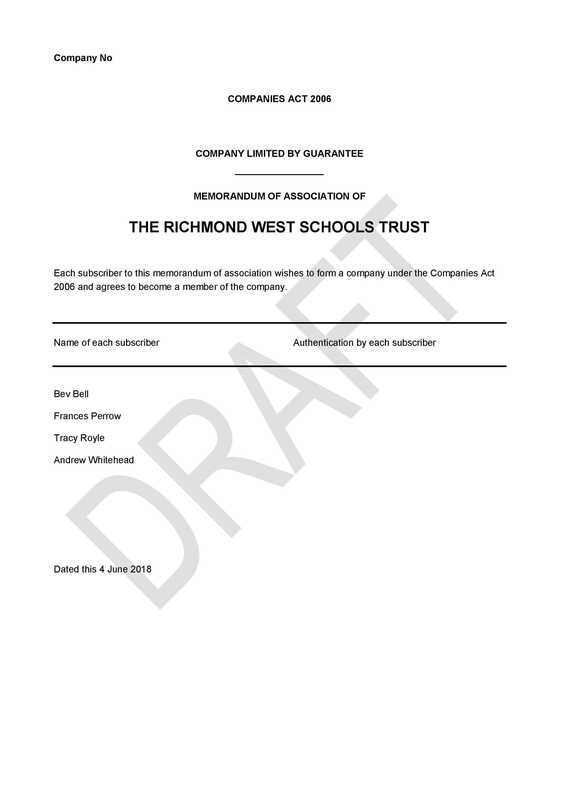 The Trust is formed of two schools, Hampton High and Twickenham School. 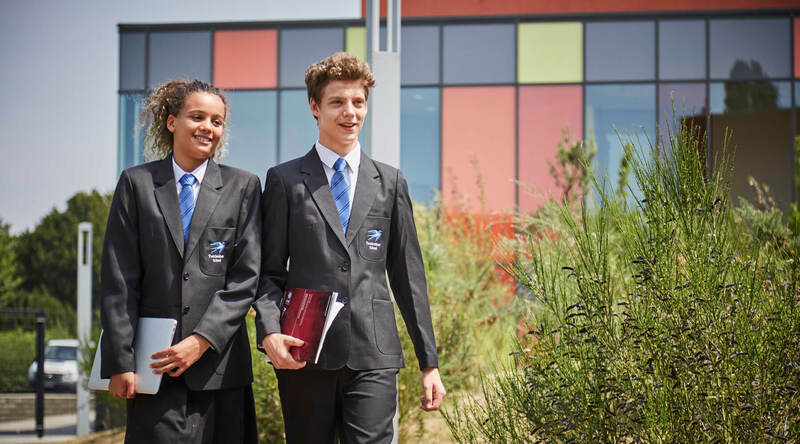 They work closely together with other local schools including Waldegrave School. As a Trust, we have the highest possible ambition for our schools and students. There is a strong focus on Teaching, Learning and Leadership and of shared expertise to ensure we are constantly striving for improvement. It is the Trust’s belief that every child deserves the best quality education. 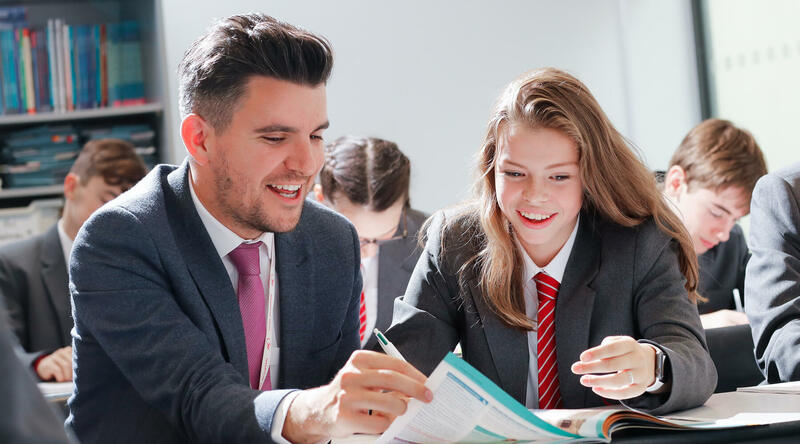 We have made a commitment to our students and families to help both schools improve their Ofsted ratings to Good by 2021 This will ensure we have achieved our aim of making sure all families in our local community can attend a great school of their choice. 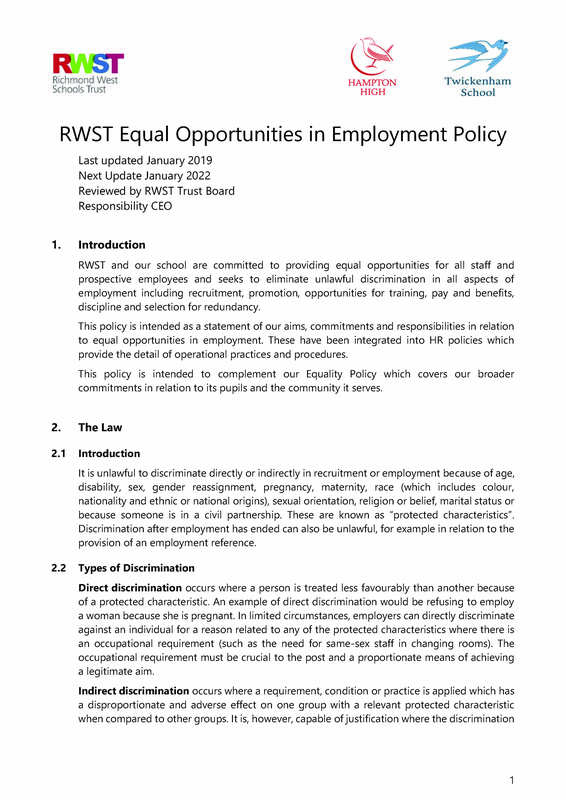 The RWST vision is to inspire everyone to achieve, enjoy and flourish beyond their own expectations. Each school has their own identity and what unites us is a commitment to make a difference by sharing and delivering excellence locally. Aspire together, learn together, achieve together. Geraldine has over 20 years’ experience as a school governor with twelve years as a Chair of Governors. She has been a National Leader of Governance, an Additional Skills Governor for Richmond borough, and also been a mentor to aspiring heads in South West London. Until recently she was a Local Authority elected Councillor in Richmond. Outside of governance, Geraldine works as a facilitator and coach specialising in the management development of middle and senior leaders, and with building apprenticeship programmes. She works with private commercial companies as well as Middlesex and Oxford Brookes Universities. She has lived in Richmond Borough for over thirty years, and both her (now adult) children attended local primary and secondary schools in Teddington. She is passionate about learning and development for both children and adults. Mark has over 30 years’ experience in the financial services sector and has held a number of senior leadership positions in a variety of disciplines including procurement, business transformation, strategy & business development and financial management. Currently he is the Supply Chain Director for a major high street bank. Mark has been involved in education for over fifteen years, serving as a school governor and Chair of Governors at a number of schools. 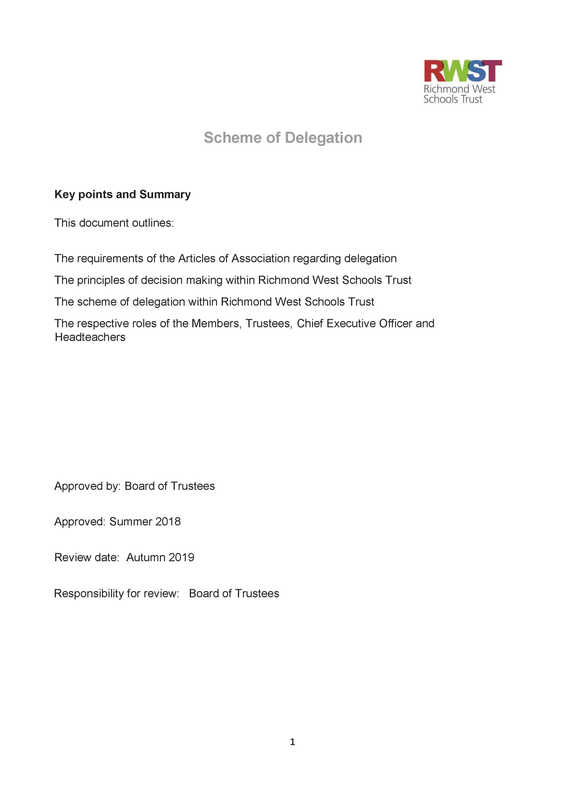 He has been a trustee at The Howard Partnership Trust (THPT) since 2013, and was appointed as a member of Richmond West Schools Trust (RWST) in September 2018. 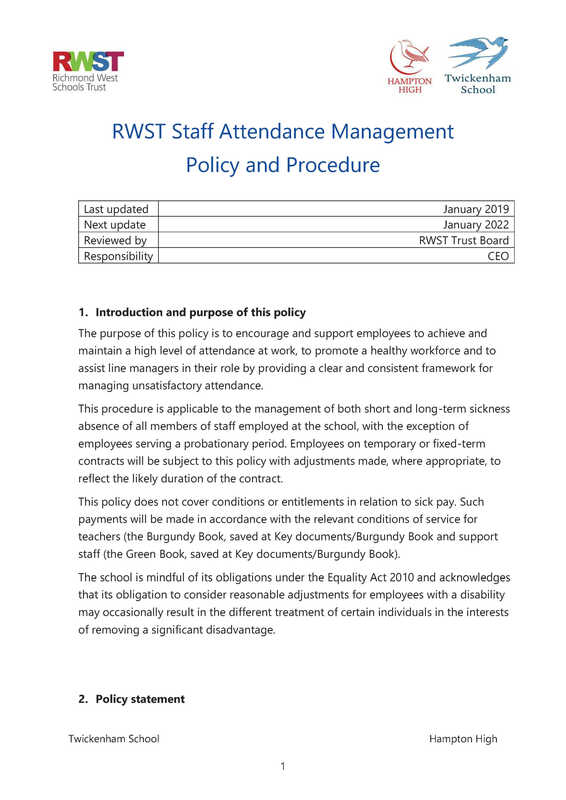 Before becoming a member of the RWST, Maria was a school governor for five years in Hampton where she sat on the Finance Committee before chairing the Children, Families and Communities Committee. Maria is a banking and finance solicitor (with a background in corporate law and governance) who specialises in lending in the education sector. Maria has lived in Hampton since 2001. Neil currently works as the Global Head of Business Development and Strategic Programmes as part of the Power Generation division of Rolls-Royce plc. å Neil has a track record of delivering key contracts and programmes to customers, communications and stakeholder management. In addition, Neil has experience in transformation and change management, strategic risk management and governance. He has extensive global experience having lived and worked in Singapore, Norway and the UK and has demonstrated his ability to lead and influence diverse teams. Angela has extensive leadership experience working across all phases of education. She was a special education advisor and head of learning development in local authority and has worked on regional and national school improvement programmes with The Training Development Agency for Schools and The National College for School Leadership as a regional advisor. More recently, Angela has worked as an Associate with the Institute of Education and University College London to develop and facilitate a range of school improvement programmes to include, coaching for leadership, raising the achievement of boys and the gifted and able. Angela has been a governor at three schools to include one year on an interim executive board. She has facilitated the school improvement module of the National Programme for Chairs of Governors and provides governor training for five local authorities. Brian has lived in Whitton for 25 years and is married with three children; all of who attended local primary and secondary schools, Strodes college and Waldegrave Sixth Form. He is a Transformation & IT Programme Manager specialising in the Financial Services industry. Brian has served as a school governor/trustee for twelve years, first at Bishop Perrin Primary School and then at the Bishop Wand Secondary School. Annmarie is an accountant (FCCA) with fifteen years’ experience in finance. She has worked as a Financial Controller and Systems Accountant in the commercial and voluntary sectors, including Diabetes UK and Brooklands College. She is a long-term resident of Twickenham and, with two children (one in primary and one in secondary education), she is passionate about local education, ensuring that all children have an equal opportunity to access the highest educational standards irrespective of where they live. 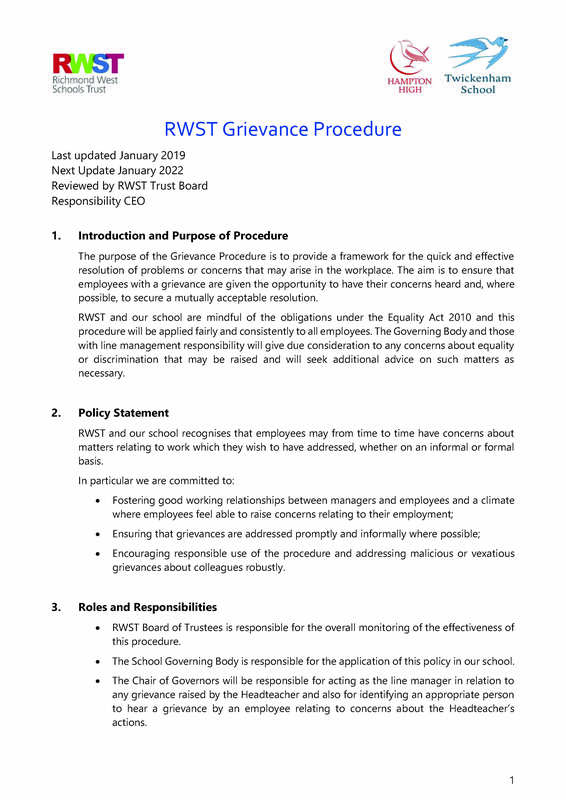 Prior to joining Richmond West Schools Trust, Annmarie spent one year as a community governor for Waldegrave School. Jo has been a governor in Richmond for ten years most recently for 4 years as Chair of Governors at Stanley Primary School in Teddington. As a parent governor at Stanley, Jo was part of the original working group to enable expansion and amalgamation of the infant and junior schools. She has successfully completed the National College, “Chair of Governors National Leadership Development Programme”. Jo is a member and Chair of Richmond Admission Appeal panels, Richmond Independent Review Panel and a member of Richmond Schools’ Forum. Jo is legally trained and has led teams to harmonise policy & operational practice across Europe for a multi-national corporation. Jo’s children now attend a local secondary community school. 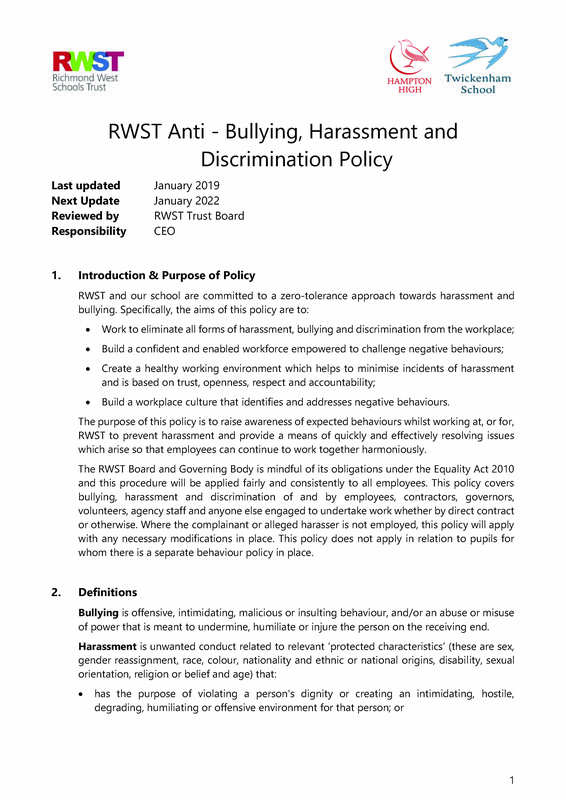 Adele is a trustee of RWST and the Chair of Board’s Resources Committee. Adele has been a community governor of Teddington School since October 2013, Adele is an editor and communications specialist and has run business magazines and websites for several leading UK publishing companies. Claire has been Chair of Governors at Twickenham School since the school joined the RWST, having previously been Vice Chair of Governors at Teddington School. Claire specialises in Leadership Development and, as a group HR director, supports the Trust from an HR and management perspective. Philippa has been Headteacher of Waldegrave School since 2006 and, previously, The Holt School in Berkshire. Philippa was appointed National Leader of Education in 2011. BSc hons UCL, MA, PGCE and NPQH. Charis worked in primary education for 22 years before joining the Local Authority (London Borough of Richmond) in 2007. She was a deputy headteacher in two schools, an acting headteacher and finally a primary headteacher in Kingston for seven years. She is Director of Children’s Services for Achieving for Children. Andrew has lived in Hampton for almost 30 years and is married and a grown-up daughter now living in Teddington. He is a qualified accountant (FCCA) and has served as a governor for seven years, first at Carlisle Infant School and then at the Carlisle & Hampton Hill Federation, and for much of that time he chaired the Finance Committees. Andrea has been a clerk to a number of governing bodies of Richmond schools over the past eight years, supporting governors in their contributions to school improvement. She now supports the Members, Trustees and two of the Local Governing Bodies as the Governance Manager, providing administration and clerking services in such a way as to support strategic development. Siobhan is a finance professional and economist with a long career in the civil service, NHS and local government. She has served in the Foreign and Commonwealth Office, including for five years in China, in HM Treasury and the Home Office, and was recognised with a CMG for services to the economics of climate change. She is currently CFO of a large public sector body. She has been involved with Hampton High for five years, as a parent council member for the Learning Schools Trust and then a local governing board member under the RWST. She has been at various times the link governor for special educational needs, maths, and more recently the Chair of the local governing body Resources Committee. She is also an Audit Panel member for the Royal Institution, the charity which brings us the Christmas Lectures to bring scientific issues to life for young people and which has an extensive programme for science outreach in schools.